Art increases access to STEM by offering different types of learning environments and by facilitating communication, expression and creative thinking. STEM is an integrated approach to learning which stands for science, technology, engineering and mathematics. STEM fosters skills including critical analysis, teamwork, independent thinking and digital literacy. These are skills which will equip our next generation to grow, adapt and prosper in a rapidly changing world. However, there is a worldwide movement which argues that STEM requires cultural tools such as art to truly develop the next generation of creative innovators. With art, STEM becomes STEAM. Art increases access to STEM by offering different types of learning environments and by facilitating communication, expression and creative thinking. Artistic processes are learning processes because art encourages us to make sense of the world around us. Art also invokes the concept of play, now recognised as a key element for successful learning environments. The Boilerhouse will become an important cultural institution in regional NSW, contributing to a ground breaking shift in STEAM based education taking place in arts centres, science museums and learning institutions all over the world. Local and visiting artists will be provided with opportunities to step out of the gallery or theatre to collaborate with scientists and educators and contribute to the Boilerhouse’s interdisciplinary program. This kind of cross pollination will create new and transformative experiences for visitors, engaging children as curious explorers and fostering the next generation of creative and innovative minds using STEAM based education. 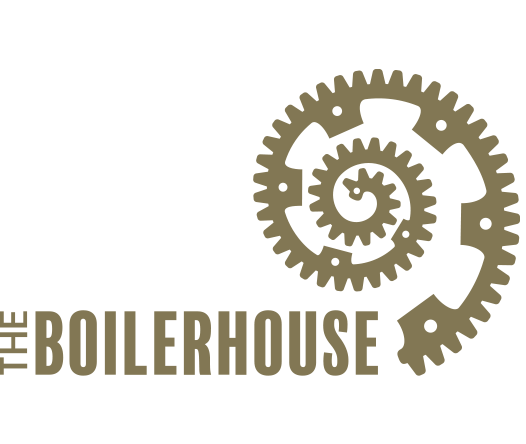 The Boilerhouse will be driven by a STEAM-punk aesthetic, as we proudly acknowledge its industrial past while actively embracing STEAM powered play-based learning. Artists will be actively involved in developing and building exhibitions, interactive programs and participatory learning environments for children spanning the natural world, the sciences, digital technology, engineering and mathematical concepts. UNE Discovery views the arts as an integral part of the learning experience for children and is proud to launch a number of arts initiatives. We’re including art right from the beginning. The following arts initiatives demonstrate the commitment of UNE Discovery in recognising the critical role of the arts as a cultural tool within childhood learning environments. The Boilerhouse building is in the throes of a clean-up. Coffs Harbour Demolitions, who have extensive experience with asbestos and hazardous material elimination are very carefully removing and disposing of contaminants and stripping the award-winning building down to its bare bones. It will soon be a stunning concrete and steel shell upon which we can imagine a contemporary structure to inspire future generations. We have been meticulously itemising, photographing, tagging and marking thousands of items, both large and small, that reflect the workings, history and significance of the Boilerhouse. All kinds of bits and bobs including wheels, cogs, pipes and fittings will be recycled and repurposed into art pieces, playscapes and parts of the new Boilerhouse building. The UNE Discovery team’s vision is to re-use as many pieces from the Boilerhouse as possible and revive parts of Armidale, UNE and the Boilerhouse site with these amazing sculptures and features. UNE Discovery is working with local artists Jarrad Stevenson, Francois Jaggi, Charlie Abbott and Matt Pilkington (BackTrack) to create public art sculptures using pieces of Boilerhouse history. Not only will artists be actively involved in creating and building interactive artworks and sculptures, but they will have input into our Boilerhouse STEAM programming and participatory learning environments. The sculptural works will feature around the UNE Campus and we also hope to install some around the Armidale town-ship. The sculptures will reflect the diversity in learning and activities which will be on offer in the Boilerhouse Discovery Space for children and their families. Themes of the sculptures will include natural history, agriculture, indigenous culture, sport and movement and the arts/music. This is an exciting public art opportunity for both stand-alone public artworks as well as the design and repurposing of functional items such as street furniture and bike racks. Original items from the Boilerhouse will also be repurposed within its new architectural design. This will include featured décor such as lights and functional architecture such as gates, walls and furniture. Artists will be commissioned to design and build these items during the design phase collaborating with architects. By 2021 the Boilerhouse program construction will be in full swing: building and installing interactive play-based learning experiences for children and their families. Artists will be commissioned to design and make pieces for the Discovery Space using original Boilerhouse items. These might include more sculptures, play-pieces (such as climbing frames and play equipment) and interactive installations. UNE has commissioned two local artists to complete artworks of the Boilerhouse depicting the building in its historical state prior to its transformation into a Children’s Discovery Space. Artist Isabelle Devos will produce an artwork of the exterior of the building in her vibrant simplified realism style. Artist Eloise Roberts will produce an interior view of the Boilerhouse building. These artworks, to be revealed later in 2018, will feature as permanent exhibits at UNE and will eventually find their way to the new Boilerhouse building. Read more on our blog. This art initiative encouraged members of the public to design postcards to help us celebrate the transformation of the historic Boilerhouse. Artists of all ages entered this competition to capture their own unique interpretation of this iconic structure. The competition was a huge success with 46 entries received. UNE’s ‘Postcards from the Boilerhouse’ competition was celebrated with an awards night held at the ‘Stro on UNE’s main campus on Wednesday 8 August 2018. Click here to read more about the competition. Printed postcard packs featuring all winning entries are available for purchase at Campus Essentials (located on UNE’s Armidale campus).